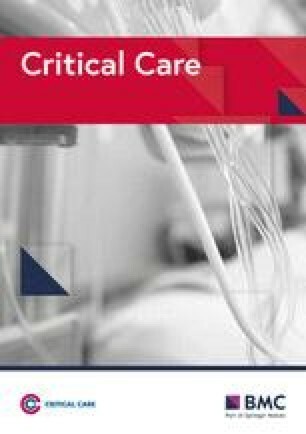 Acute kidney injury (AKI) is common in the intensive care unit (ICU), and there is evidence that even a small increase in serum creatinine may be associated with increased risk of mortality [1, 2, 3]. AKI can be defined by either an elevation in serum creatinine or a reduced urine output according to the Kidney Disease: Improving Global Outcomes (KDIGO) guidelines . Oliguric AKI constitutes a substantial proportion of the overall AKI population, and it imposes a great challenge for fluid management. 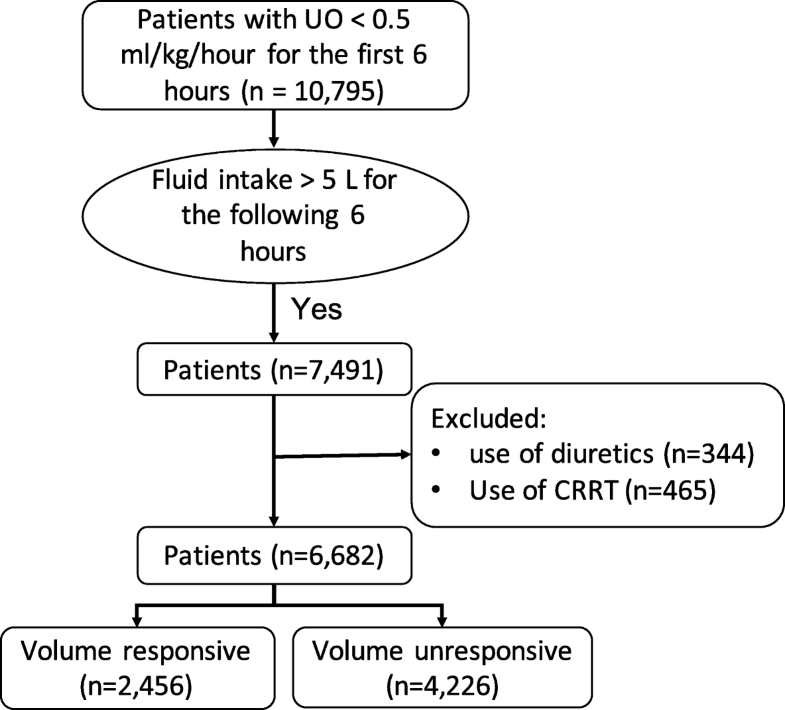 Pathophysiologically, oliguria may represent an adaptive response in AKI, and once an effective circulatory volume is restored by positive fluid balance, urine output would improve. Under this circumstance, fluid administration or positive fluid balance can be considered beneficial and those who improve with more fluid can be considered as having volume-responsive (VR) AKI. First, an ability to accurately identify volume responsiveness in critically ill patients with AKI is clinically important to avoid both hypervolemia and hypovolemia. Currently, there is a lack of a reliable tool to distinguish between VR and VU AKI at an early stage. 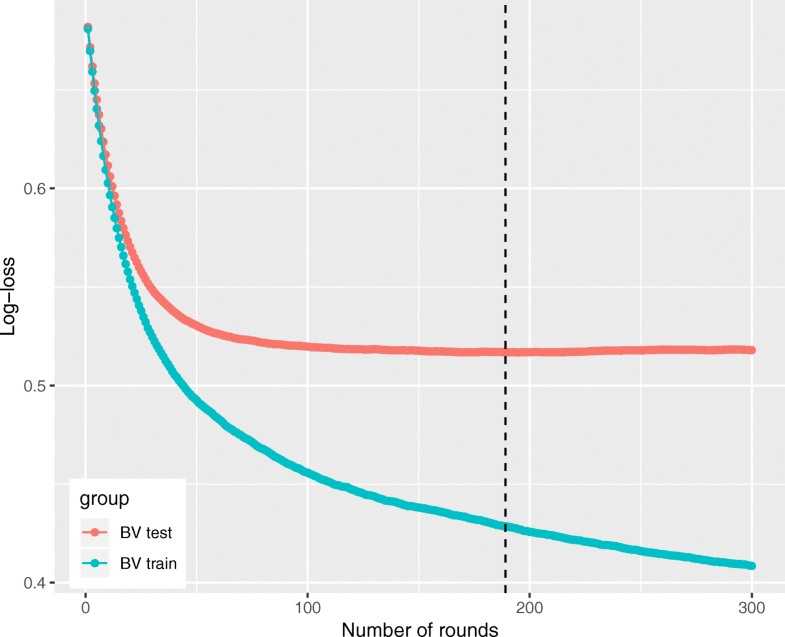 In this study, we showed that sophisticated machine learning techniques such as the XGBoost modeling can enrich the amount of information we can obtain from analyzing a database and allow us to develop and validate a better-performing predictive model compared to the conventional logistic regression technique. 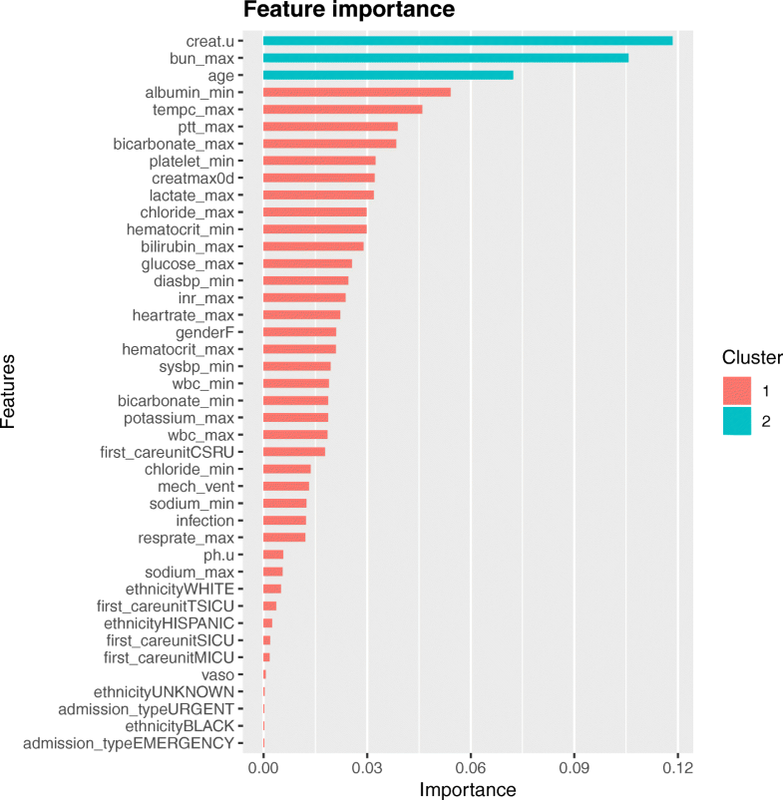 The potential usefulness of the model is that it can help to stratify oliguria patients immediately after ICU admission. As a result, large volume fluid can be more accurately given to patients who are very likely to respond to fluid challenge. There is evidence that fluid overload can result in organ dysfunctions, prolonged mechanical ventilation, and even death [19, 20, 21]. Thus, it is of vital importance to identify patients who will benefit from fluid resuscitation. 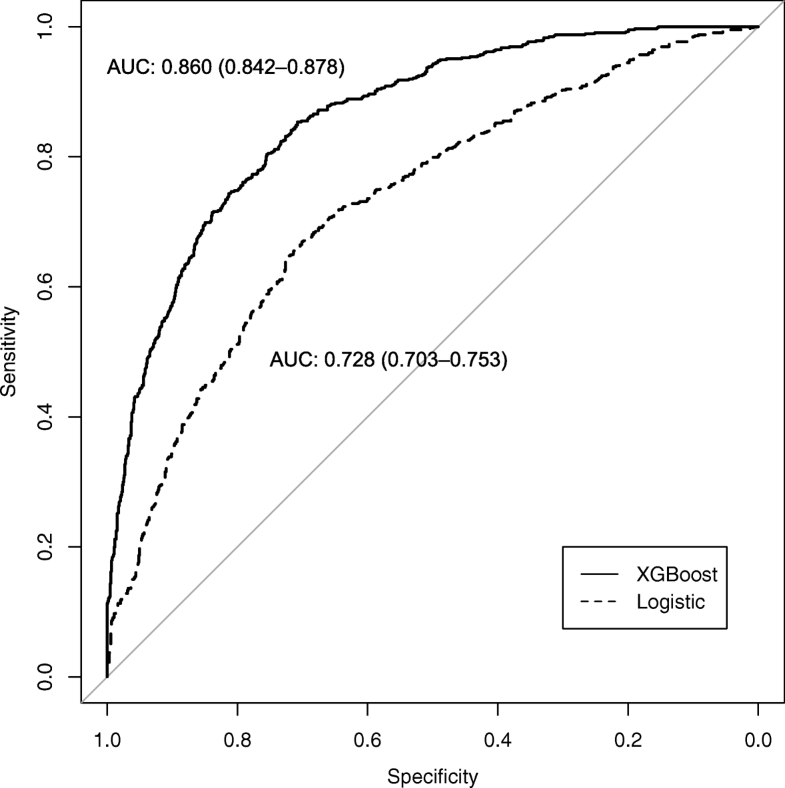 However, the present study cannot provide a higher level of evidence on the effectiveness of the XGBoosting model. Future randomized controlled trials comparing the treatments with and without the prediction model are warranted to explore the effectiveness. Second, our results showed that urinary creatinine was potentially useful to differentiate between patients in AKI who were VR and VU. Probably, patients with higher serum creatinine may also have higher excretion of creatinine to the urine. Since the former is a biomarker of kidney injury (e.g., higher serum creatinine was associated with higher risk of intrinsic injury), the latter is also associated with increased risk of VU-AKI. The utility of urinary biochemistry to predict AKI outcome has been controversial in the literature. Although urinary biomarkers such as creatinine and fractional excretion of electrolytes were significantly different between VR and VU groups in some animal and human studies , there are also studies showing that urinary biochemistry may not be useful in differentiating between VR and VU AKI [22, 23, 24, 25]. In our study, we could not analyze the ability of urinary sodium and potassium to differentiate between VR and VU AKI because a large proportion (> 70%) of patients did not have this data.